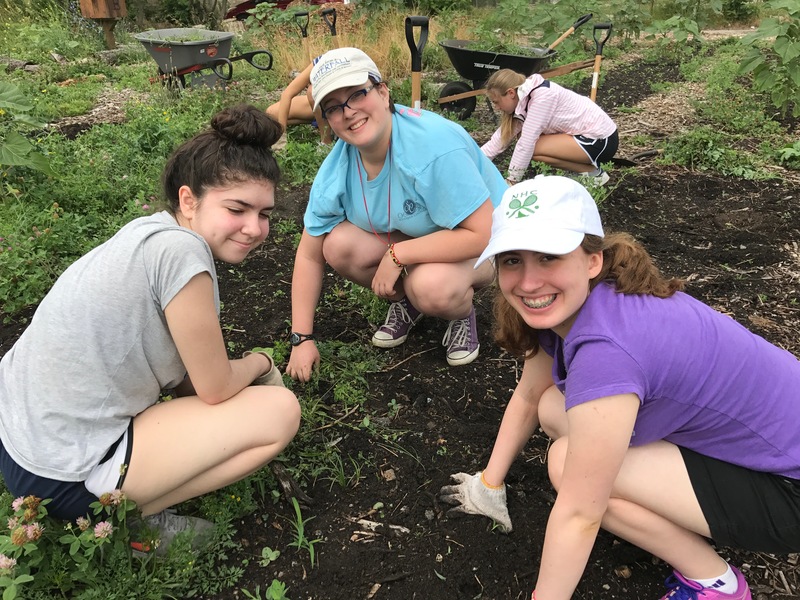 All week, we will be sharing updates and reflections from the students and faculty participating in the Sacred Heart Summer Service Food Deserts Program at Josephinum Academy of the Sacred Heart. 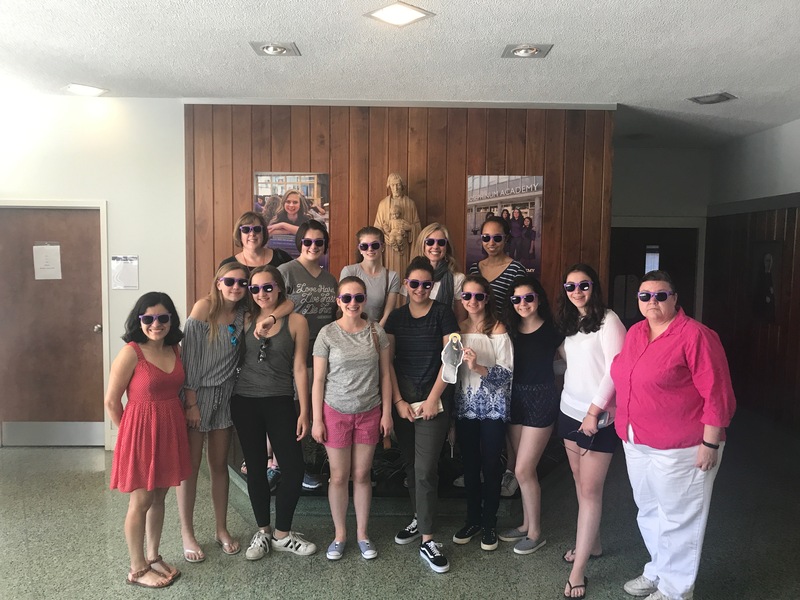 For more information on Josephinum or Sacred Heart Summer Service, please contact info@josephinum.org. Today we visited Vincennes Learning Garden on the South Side, where we cleared weeds, shoveled compost and learned about community gardens. Martha and Deb run the garden, which produces beans, tomatoes, peppers and kale. We worked there in the morning and then returned to Josephinum. After returning to the Jo, we had lunch, and got ready to go downtown for dinner and some sight-seeing. 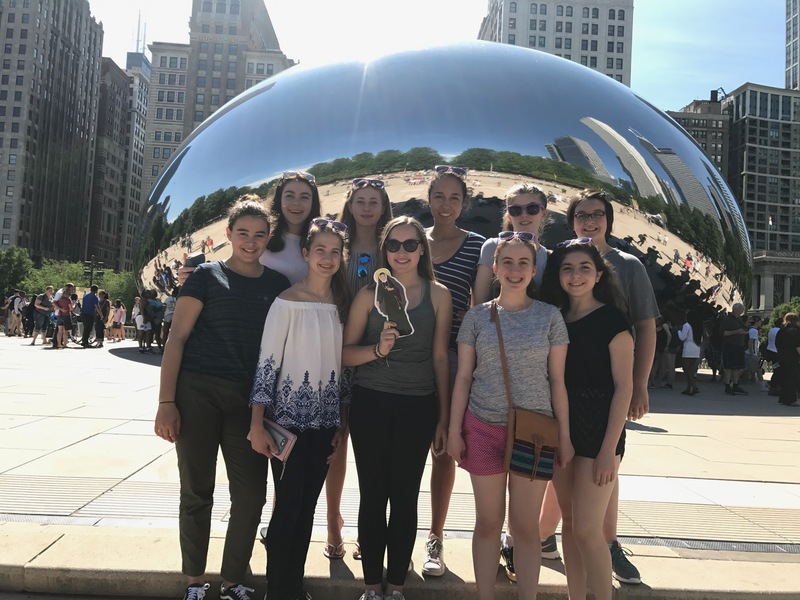 We visited the Millennium Park Fountain, the Bean, and Willis Tower. We got to enjoy a gorgeous view of the waterfront and spend some time relaxing in Maggie Daley Park. Then, we went to visit the Skydeck on the 103 floor of Willis Tower. At the 103 floor, we all sat down and took photos on the ledge, a glass dome overlooking the Loop. We ended the night with a stop at Giordano's where we all had the chance to try deep dish pizza. After arriving back in Wicker Park, everyone went to Stan's Doughnut Shop where all got sweet treats.